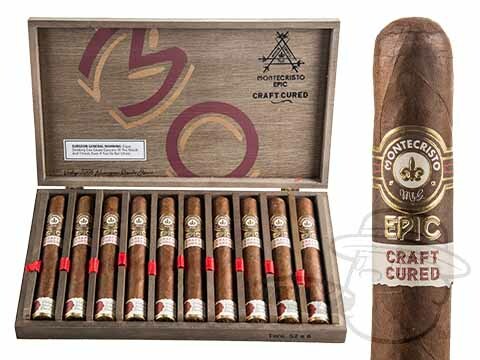 Handcrafted to the highest standards at the world famous Plasencia factory in Nicaragua, the Montecristo Epic Craft Cured brings you an exciting tasting experience that exceeds even the lofty standards of the Montecristo brand. 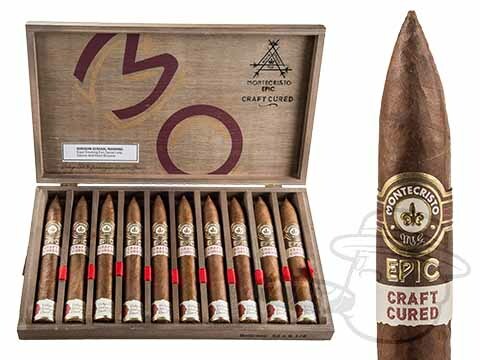 Showcasing a special reserve Rosado wrapper leaf from the exceptional crop year of 2006, the Epic Craft Cured combines a careful blend of 100% Nicaraguan tobaccos. Bucking traditional method, these tobaccos were then processed using an unconventional, time-consuming fermentation process in which all of the leaves used in the blend were cured together in small pilones to create a larger scale of full, unbridled flavor. 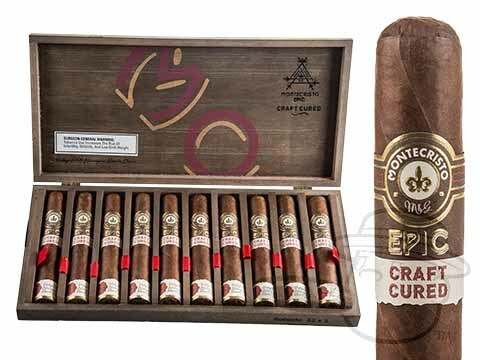 Medium-full in body, this unmatched new Montecristo creation displays an amazing balance of its zesty and sweet tasting notes, with layered tones of cocoa, spices, nuts, espresso, toasted grains, and more. If you only try one new cigar right now, make it this one - you can thank us later.